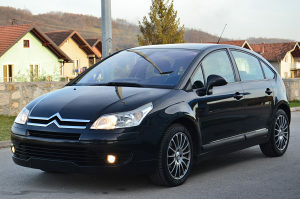 [PRODANO] CITROEN C4 1.6 HDI MODEL 2006 - TEK UVEZEN !!! TEK UVEŽEN - UVOZ NJEMAČKA !, SA 194118 PREĐENIH KM! LIMARIJA, ENTERIJER, MOTOR, SVE OČUVANO! PREDNJI DISKOVI I DISK PLOČICE, ZADNJE DISK PLOČICE, ZADNJI AMORTIZERI SVE NOVO!!! MOŽE PROVJERA U SERVISU PO ŽELJI KUPCA, MOŽE I U OVLAŠTENI CITROEN SERVIS NA PREGLED!! !